Those who have struggled with the mobile version of Internet Explorer felt a tinge of hope when Microsoft announced a vastly improved version, IE Mobile 6. The improvements make browsing on the phone closer experience to browsing on your desktop PC with sites rendering the same as on the computer screen. New features on the web browser allow the user to complete tasks quicker and faster. 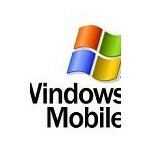 The good news is that IE Mobile 6 is available on cellphones running Windows Mobile 6.1. But before you rejoice, the browser will be available only on new phones running that OS, such as the CDMA version of the Palm Treo Pro. So if you are loving the idea of using the new IE on a Windows Mobile 6.1 phone, you had better be prepared to lay out some money to buy a totally new phone. However, if you are OK with using unofficial ROMs, do not forget that ones cooked with it will appear soon! To learn all about Internet Explorer Mobile 6, check out this white paper report on the browser. What about the Samsung Omnia?